Let me finish today by turning to journaling–and an offer I’m glad to make to you and all your fellow combat veterans. (I’ve decided to discuss the clergy and spiritually-oriented groups later, in separate posts.) I’ll present these ideas in a FAQ-like format. So what do you mean–journaling? I mean: anything you want it to be if it involves, in some way, putting your thoughts and feelings into words. You can write your words down on paper of any kind, whether looseleaf or bound, whether bound in a spiral notebook or in a special journal with formal binding. You can write your words down on a computer, storing them on your hard drive or in cyberspace somewhere. It’s up to you. Is this supposed to be in some particular form? Formal or informal? Do I worry about spelling, grammar, complete sentences, things like that? Not at all. You write what’s on your heart. If you feel like cursing, you curse. If you feel as if only random words can come out, not even sentences, then write random words. Any particular entry could be as short as one word or as long as it takes until the words run out for that entry (or exhaustion sets in). Are you talking a one-time thing or something that I do over and over? Either one. Maybe you write something one day and then never write again. Maybe you write again in a day, a month, years or more. Maybe you write again in fifteen minutes. You’ll know when it’s time to stop. You’ll know when it’s time to start up again, if ever. Am I supposed to write this to share with someone? That’s up to you. Maybe you want to write a letter to someone who’s alive, but first you want to “try out” what you want to say. Maybe you want to write to God. Maybe you want to write to a buddy or a loved one who’s no longer with us. Maybe you want to write to a Head of State, a legislator, the “brass.” Maybe you want to write to your kids or grandkids you have or might one day have, the kids of a friend–or the kids your friend will never have. Maybe you want to write an op-ed piece. Maybe you just want to scream, at anybody, at War, at Death, at Life. Should I actually share this with someone? That’s also up to you, but reserve the right that you may, at any time, write something that you would not want anyone to read. If the latter, though, remember: words, even in cyberspace, can sometimes end up in hands you’d not planned on. Take extra precautions to make sure that you lock such words away, e.g., with passwords, or literally under combination lock. Maybe write in a “code” that only you will understand. If you have a therapist or counselor, however, I do hope that your relationship with that person will be such that you could share as much of your journaling as is possible. What if I don’t have a therapist or counselor? Should I do it anyway? So what good’s this going to do for me? Am I not just torturing myself even more by writing down what I already can’t get out of my head? In fact, “getting it out of your head” is precisely the point. “Putting the Truth into Words” is precisely the point. Will the Truth leave your head as a result? Of course not. But now the Truth will be something physical in addition to mental. It will be written down on paper, on a hard drive. Your hand will write it or type it. The words will not melt away, as they can in your head. You can go back to them. Reflect on them. Change them. Erase them–but you’ll have to decide to erase them. They can’t “run away from you” any more. You can leave them on the paper and never go back to them, but know that somewhere in this world, whether in a locked drawer or in a computer file, those words will still be there. You will have options that you didn’t have before. You can “forget” because you know that paper and data files never will. Sometimes memories and feelings become more real when you see them in handwriting or type. Sometimes they become less so. Should I do this instead of therapy or counseling? No. If you have the chance to work with a therapist, a counselor, a trusted clergy person, I would strongly urge you to do that as well, even if you don’t share what’s in your writings (although, believe me, the writings, when shared with the right person, will only help to improve your work with that person). For most people, recovery from combat trauma/PTSD is a two-part process. Second, though, you will fully heal when you share those words with someone and know that your words are being taken seriously, that you are being taken seriously, that your words will not destroy that person, that the person will still be glad to know about you, know you, care about what happens to you. That’s how you detoxify the contaminated memories and feelings. That’s how you know that neither you nor your therapist/counselor/listener will be poisoned by the Truth forever, even though both of you will have to live knowing the Truth forever. If, however, you don’t have access to counselor, or if you are not quite yet ready to take that risk that a counselor or therapist or clergy will understand or have the courage to bear what needs to be borne, or if you are too disillusioned to go back to one, one of the above out of two is better than none out of two. The very act of putting the Truth into words will help you some–and maybe a lot. I’m a kinetic-energy/extroverted type. I rejuvenate through movement, literal and figurative. So what’s in it for me? You and I both know that simply because you’re kinetic-energy/extroverted, you cannot say that you don’t have memories and feelings that you need to “get out there.” In general, I have found that kinetic-energy/extroverted combat veterans usually have fewer words to share in writing (in the grand scheme of things, in therapy as well). You probably, in other words, won’t be spending hours a night in journaling. Yet writing, typing is indeed movement: getting something done in the real world, making appear what was not there before, making a change from thoughts that never stop to thoughts that at least stop long enough to have the decency to stay put in a sentence. I’m a potential-energy/introverted type. How am I not just “wallowing in self-pity”? How won’t I be just stuck in the same rut I already am, thinking and feeling the same things over and over? Good news, that is less likely to happen precisely because you’re writing things down, precisely because you’re moving all those thoughts and feelings out of the “inner spa” (where they’re going to stay anyway) and into a sort of “outer spa” that can be observed more easily, maybe without quite the “stench” of the War Within. If you’re writing the same thing over and over again, you’re going to see that. Remember, you’re military! In other words, you’ve been taught from the first moments of boot camp to think mission! You’re not like many folks who have never done anything with their lives, who go over the same, go over the same and do nothing, year after year. Maybe The War Within is telling you that you are now such a person–but you’re not!! The day will come when you will look at those words and say, “What the . . . ? Wake up, friend, wake up! !” Trust me. It may be today, tomorrow, next month, next year. You may have to write the same word, the same memories, the same feelings once or ten thousand times. But the “what the . . .?”day will come. So, what is it again I’m supposed to write about? Anything. Memories of specific events. Memories of how you felt back then, about what happened, about that person. Impressions of how you feel now. Regrets. Sorrows. Guilt. Shame. Disappointment. Rage. Forgiveness. Fear. Hope. Events that happened today, yesterday, ten years ago that bring a smile, that make the next day worth facing. Goodbye. Hello. So what’s this “offer” you’re talking about? I am glad to offer you my reading eye and reading heart. In other words, if you don’t have anyone to “listen,” I am glad to do that. I will provide an e-mail address below, and you can send me what’s on your mind, your heart, your soul. Are you talking about you becoming my therapist? No. Therapy, counseling is about two real people interacting over time. I will not be able to respond to your writing. If you have questions, whether general or specific, I will not be able to discuss them with you or answer them for you. Please know that it is not that I wouldn’t want to do that. It is simply that I cannot. It’s not just that it would be unethical, in a professional sense, to make such an offer. It would be inhumane to make such an offer. It would be unfair, just another so-called “helper” making a promise that he has no intent to keep. Enough people have done that to you already. You don’t need one more. I am one person. I have a family I value and to whom I have committed myself. I have patients with whom I do interact regularly through my professional duties (and I add, privilege). I cannot shortchange them. I will not do so. So why should I waste my time sending you anything? That’s the question you’ll have to answer for yourself. Here is what I can offer: I am a man, a fellow human being, who does have a talent for understanding the heart. I’m not bragging about that. It’s just who I am. I like to read. I am not afraid to hurt. I have a good life with a good family who have as good a future as anyone of us can hope from this world. Your story, your memories, your feelings will affect me, but they will not destroy me. Yet as you can see from all my blog entries under the heading Living Life, you will have an impact on me. I’m not a passive, lazy reader. I am no fool, you see. Given the right circumstances, I too would kill. I know that. I too would make decisions about life and death that I would never forget. I too could experience unspeakable rage. I too could experience grief that rips the heart open by hand. But also, I have not killed. I have not seen body parts on the ground. I have not watched the life ebb out of my best friend or seen him or her disintegrate in front of me. Therefore, such memories, such feelings will not overwhelm me, precisely because they have never overwhelmed me to date. I can only imagine them. But I am willing to take the risk of knowing in my heart that such things could happen to me even today and thus let myself take the risk of letting what has actually happened to you infiltrate my heart enough so that I’ll be disturbed enough to make it as real for me as I can. How will I know that you actually read what I write? You won’t. You’ll have to trust me. I will send you a very brief reply e-mail with a simple message: “Got what you wrote and will read it when I can. My best to you, always.” That will be it. Is this a one-time offer? You can send me as many writings as you wish. You can know that one day I will read each of them. Will you keep track of who I am? No. I will not keep emails. Therefore, I ask that you send your thoughts as an attachment, either in Word or Wordperfect format. Once I run the document through a malware protection protocol, I will then store it on a hard drive to which only I have access, labeling it only by date and time of receipt. Once the document is stored and I have sent you back your two-sentence reply, I will permanently delete your original email message. What if I want you to keep track of me? That’s up to you, but again, I will not be writing you back. If you wish to use a pen name, once I have read the document, I will then store it in a file with your pen name. If you want to use your real name, I will store it by your real name. Will you write about what I write you about? Only if you tell me that I can. I will assume that you do not want me to write about anything that you write about. Even if you give me permission to write about what you write about, however, do not assume that I will do so. The future will bring what the future will bring. If you use some of my thoughts in any of your writings, will you let me know? If you would like me to. If you wish to allow me to write one day about your experiences, but would prefer to know first about it, then leave me your e-mail address in the body of the document. I do promise that in such circumstances, I will never make any reference to what you write without sending you a copy of the essay and then getting your explicit approval to publish it. You would also be free then to have the essay retracted (if possible) at any later time, although obviously I will have no control over any previous disseminations in any form. Will what I write you be confidential? No. It will be anonymous (unless you give me information within the document), but it will not be confidential. As I said, I will separate your document from your e-mail at the time of storage, and I will make no effort on my part to link the two, deleting the e-mail upon storage. (Therefore, if you write anything of substance in the body of the e-mail, it too will be deleted immediately upon storage.) I, in other words, will have no way to link you to your document at the time of my reading it unless you give me explicit, identifying information. I will not, however, be taking any steps to erase all “footprints” of the e-mail. I don’t know how to do that. I have no plans on learning on how to do that. We will not, nor ever will be in a psychotherapeutic relationship, and therefore you have zero protections offered by such a relationship. I have no clue whether any government official would ever take an interest in my documents. If they do, though, I will have no legal grounds upon which to refuse handing them over. If they have the cyberknowledge to link documents to their originals senders, then they will what they want. I can take no responsibility for that. THEREFORE, if you are afraid of anyone “official” ever possibly reading what you write, then you should be accordingly careful. Remember: specific dates, names, places, often they are not that important as to the feeling of what happened or the haunting memory of what happened. Look through my entries under the category Living Life. I specifically avoid as much detail as I can–location, branch of service, specific dates, easily identifiable details of persons and events–and focus instead on the feelings engendered by the memories, which usually only require minimal “backstory” to make them meaningful. Will you ever actively divulge information without my permission? Obviously, that will only be possible if you identify yourself in the body of the document. If you make any threat against an individual and you have identified yourself, I will send a copy of the document, with the identifying information, to the United States Federal Bureau of Investigation (it’s federal because you’ll be using the Internet to transmit the threat), and they will do with it as they will. Similarly, if you make claims to be considering committing future crimes of any kind, I will do the same immediately. If you threaten to harm yourself and you have identified yourself, I will forward a copy of the e-mail to the Veteran’s Crisis Line, and they will do with it as they will. IF YOU ARE HAVING THOUGHTS OF SELF-HARM OR HARM TO OTHERS AND DO NOT WISH TO ACT ON THEM, DO NOT COUNT ON YOUR TELLING ME, EVEN WITH IDENTIFYING INFORMATION, AS BEING SUFFICIENT TO GET YOU HELP IN TIME. As I have said, I cannot promise you when I will read your document, although I promise that eventually I will read the document. If you need help, GET HELP NOW. IT’S AVAILABLE, AND IT’S THE REAL DEAL. 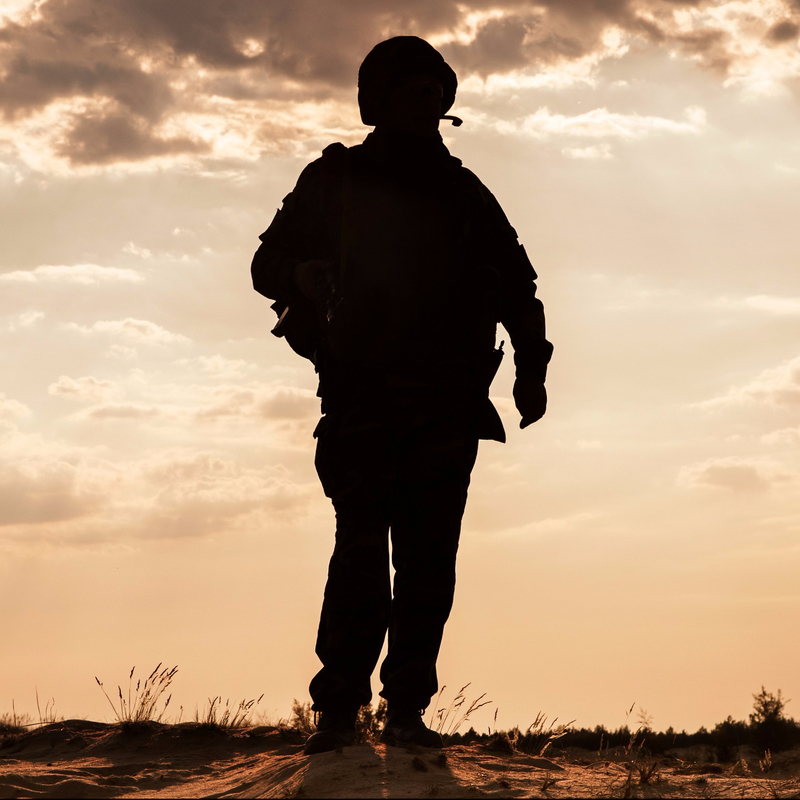 Call the Veterans Crisis Line at 1-800-273-6255, ext.1. Alternatively, you can have a confidential chat at VeteransCrisisLine.net or you can text to 838255. Also know that I am obligated under the laws of the state of Indiana and of the United States to report matters such as abuse and neglect of children, of the elderly and disable, etc. If you tell me of such matters and if you identify yourself in your document, I will need to forward that information to the appropriate authorities. Also, if you do write me more than once and use a pen name and do any of the above, I will not guarantee that I will not attempt to link your e-mail to your pen name. If I do do so, then if any of these above events occur, I will forward your email information to the authorities, along with the documents in which the threats or allegations are made. So what’s in it for you, Doc? Honestly, I offer it because that’s just who I am and what I do. I promise you that I will not interfere with my family’s life because of anything you write. You don’t have to worry about that. Given that I’m psychoanalytically trained, I of course believe that there is more than just “who I am and what I do” behind my offer. Certainly I have known, as I write in About Me, the impact of combat upon a family through generations. I suspect a part of this is a gift to my paternal grandparents for their suffering, a remembrance for my uncle, a gift to both my father for the impact of my uncle’s deaths on his life (and even on the lives my mother and her parents, given that my mother’s family and father’s family had been quite close). I know what I need to know, it is what it is, and I do what I do. I also do enjoy reading and writing about lives, and I am glad that some have found help in what I write, especially in my ability to let combat veterans know, through my writing, that a). they are not alone in what they experience and struggle with, and b). their sufferings and struggles can have an impact on at least one other human being, no matter how horrible those experiences have been, and c). that I’m not only willing to experience in my limited way those sufferings, but am willing to try to “convince” words, language to “capture and hold” as much of that suffering as “they” can. The email address is rodneydeatonmd@gmail.com. It’s available any time, only for this purpose. As I said, I will not be making any personal responses except to acknowledge receipt. So, Sir, a simple comment engendered all these words in all these posts. Such is who I am, as you now know. I again thank you for your bravery, and I thank you for giving me the opportunity to put these thoughts into words. I hope at least one or two of these words have been helpful for you. All my best to you and yours, at this time of year celebrated by many traditions as ones of Holiday and throughout the rest of the year–and the rest of your life.